On this new year, Sony seems to be fulfilling some people’s desire cutting down the price of its flagship phone, Xperia Z3. Sony is almost confirmed to bring its next flagship phone, Xperia Z4, probably they will unveil it in the MWC Barcelona this year and before that Sony decided to lower down the price of its latest flagship Xperia Z3 available in the market. This flagship phone from Sony has got a pretty good price cut of Rs. 5,000 (compared to online price) and Rs. 7,000(compared to retail price), that means the phone, which was priced at Rs. 49,990 (online) and Rs. 51,990 (retail) will now cost just Rs. 44,990. Along with Xperia Z3, the Sony Xperia Z3 Compact has also got a price cut and the smaller variant is now available for Rs 39,999 which is just equal to the price of Samsung Galaxy Alpha. So, you must be now thinking to get one of these two phones from Sony, however, both of the phones are identical in looks just the difference is in the specs. But, both the phones are extremely god in case of specs and build quality. 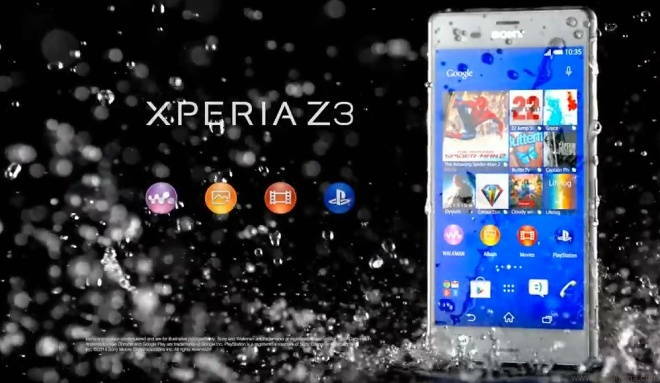 Main highlights of the Sony Xperia Z3 are excellent display, powerful hardware, top-notch cameras and of course its waterproof. But at the same time, its smaller variant Z3 Compact also does well in the game of smartphones with a 4.7 inch fullHD display, Android 4.4 KitKat version and quad-core Snapdragon 801 chipset with 2 GB RAM. Also, Sony has already announced the latest Android 5.0 Lollipop upgrade for most of the Z Series flagship phones, so these two may be a better option than some of the latest phones which have been released in the market. Meanwhile, I digged out the e-commerce sites a little and surprisingly, this time Flipkart is offering Xperia Z3 at a lower price than Amazon. For both the black and white variants of the phone, they have a lower price of Rs. 43,199. You can also buy any one of them from Flipkart. If you really like plain white, you can grab it, but you will have to pay the same price as for the Copper variant. So, if you want to buy Xperia Z3, this is the best time. If you have any questions, doubts regarding Sony Xperia Z3 or Z3 Compact, feel free to leave in the comments section below and we will get back to you as soon as possible.